From business travel to holidays – the cost of going abroad is rising. But there are still ways you can save. We look at 3 myths surrounding air miles and similar schemes to show you why they’re a great choice for travellers. Inflation, rising fuel costs, green taxes – these days, there are so many factors taking their toll on flight prices. Because of this, air travel is getting increasingly expensive, causing many of us to cut back on the number of overseas trips and replace all or some of our breaks with UK ‘staycations’ to keep costs down. But even in tough economic times, there are still ways to save money and help you get off to that dream destination and your well-deserved time in the sun. One of these is air miles and similar programmes – loyalty schemes offered by airlines and credit card companies that reward you for travelling and spending on an associated credit card. However, not everyone uses their air miles to the best advantage because they don’t fully understand how flexible these schemes can be. That’s why we’ve decided to bust three common misconceptions surrounding air miles and related schemes, and to show you how you can save not just on flights – but every element of your holiday from travel insurance to car rental. Air miles aren’t just for frequent fliers. While it’s true that many loyalty miles schemes offer extra points when you book flights, you can earn miles all year round simply by making purchases with your air miles credit card. Most standard air miles cards from companies like British Airways, Lloyds TSB and Virgin will give you one mile for every pound you spend on everyday goods and services like petrol, shopping, clothes or meals out. Simply put, you can earn air miles all year round just by using your air miles card – something which could end up paying for a significant proportion of your holiday, if not all of it. Most basic air miles cards will suit the occasional holidaymaker, but if you count yourself a frequent flier, a new air miles credit card from Virgin Atlantic could be the one for you. The Virgin Atlantic Black Card gives you two miles for every pound spent, in addition to 6,000 miles with your first purchase and an extra 12,000 air miles (or, more accurately, ‘Flying Club miles’) if you spend £1,500 within the first 90 days. The card does have a £140 annual fee though, but if you’re a serious jet-setter the benefits you receive will easily offset it. They might be known as ‘air miles’, but they’re not just for flying. Just like supermarket loyalty cards you can spend your air miles on everything from flights and hotels to car hire, travel insurance and even complete package holidays. What you can spend your air miles on will depend on your provider, however, so be sure to check where you can spend your miles before you join a scheme. Some cards also offer additional rewards. A Virgin Atlantic card doesn’t just earn you Flying Club miles, you’ll also get a 10% discount with Virgin Holidays all year round – add in your miles and you could end up paying a lot less for your holiday. You can save air miles all year round, but what if you don’t have enough to claim a free flight or holiday extra? Don’t worry – you don’t have to spend air miles by themselves. Instead, think of them like a great discount you can apply to something you would have bought anyway. Air miles can be topped up with cash for the majority of the purchases you can make with them. So even if you can’t get a free flight, you’ll pay a lot less for one – and when it comes to holidays, those savings add up quickly. But remember to check with your provider whether or when your air miles expire as some companies require you to use them within a specified period. And if your air miles are about to expire, it could be just the excuse you need to get away for a quick break. Before you do, however, make sure you have the right travel insurance for your needs – if you don’t, you could find all your savings washed away when it’s time to claim. But getting cheap holiday insurance is easier than ever – just add air miles. If you’re thinking about joining an air miles scheme, remember that air miles cards generally have a higher APR than ordinary credit cards. 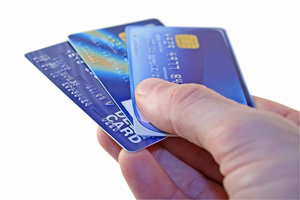 But if you can pay off card each month and avoid the interest then it’s a great deal – and highly recommended. Whichever you choose – have a safe trip!